By investing in a GreatHome Technologies home theater, you are investing in the good life! Relaxation, entertainment, family, friends, fun... these are all the things that we at GreatHome Technologies keep in mind when designing and building your custom made home theater systems. From the screens and speakers, to the chairs and carpet, we do it all and all with your budget in mind. 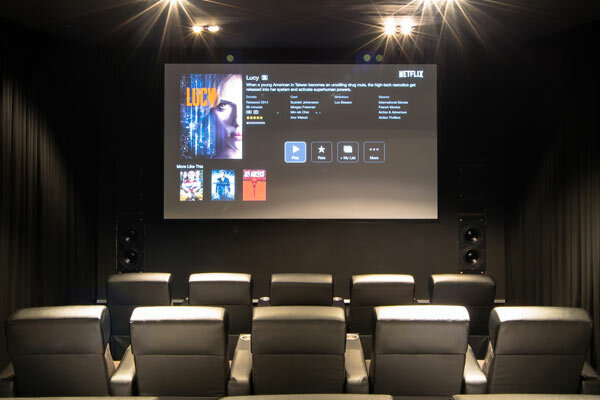 GreatHome Technologies has been in the home theater business for over 11 years and has built up a wealth of knowledge and experience and we think that listening to the needs of our customers is the best way to ensure that their home theaters turn out the way that they want! And when our customers are happy, we are happy!